I read this article and found it very interesting, thought it might be something for you. The article is called How Norway Proves Laissez-faire Economics Is Not Just Wrong, It’s Toxic. 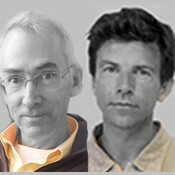 and is located at http://evonomics.com/norway-toxic-trickle-down-david-sloan-wilson/. Life consists of units within units. In the biological world, we have genes, individuals, groups, species, and ecosystems – all nested within the biosphere. In the human world, we have genes, individuals, families, villages and cities, provinces, and nations – all nested within the global village. In both worlds, a problem lurks at every rung of the ladder: a potential conflict between the interests of the lower-level units and the welfare of the higher-level units. What’s good for me can be bad for my family. What’s good for my family can be bad for my village, and so on, all the way up to what’s good for my nation can be bad for the global village. For most of human existence, until a scant 10 or 15 thousand years ago, the human ladder was truncated. All groups were small groups whose members knew each other as individuals. These groups were loosely organized into tribes of a few thousand people, but cities, provinces, and nations were unknown. Today, over half the earth’s population resides in cities and the most populous nations teem with billions of people, but groups the size of villages still deserve a special status. They are the social units that we are genetically adapted to live within and they can provide a blueprint for larger social units, including the largest of them all – the global village of nations. The conflict between lower-level selfishness and higher-level welfare pervades the biological world. Cancer cells selfishly spread at the expense of other cells within the body, without contributing to the common good, ultimately resulting in the death of the whole organism. In many animal societies, the dominant individuals act more like tyrants than wise leaders, taking as much as they can for themselves until deposed by the next tyrant. Single species can ravage entire ecosystems for nobody’s benefit but their own. But goodness has its own advantages, especially when those who behave for the good of their groups are able to band together and avoid the depredations of the selfish. Punishment is also a powerful weapon against selfishness, although it is often costly to wield. Every once in a great while, the good manage to decisively suppress selfishness within their ranks. Then something extraordinary happens. The group becomes a higher-level organism. Nucleated cells did not evolve by small mutational steps from bacterial cells but as groups of cooperating bacteria. Likewise, multi-cellular organisms are groups of highly cooperative cells, and the insects of social insect colonies, while physically separate, coordinate their activities so well that they qualify as super-organisms. Life itself might have originated as groups of cooperating molecular reactions. Only recently have scientists begun to realize that human evolution represents a similar transition. In most primate species, members of groups cooperate to a degree but are also each other’s main rivals. Our ancestors evolved to suppress self-serving behaviors that are destructive for the group, at least for the most part, so that the main way to succeed was as a group. Teamwork became the signature adaptation of our species. Extant hunter-gatherer societies still reflect the kind of teamwork that existed among our ancestors for thousands of generations. Individuals cannot achieve high status by throwing their weight around but only by cultivating a good reputation among their peers. Most of human moral psychology – including its other-oriented elements such as solidarity, love, trust, empathy, and sympathy, and its coercive elements such as social norms enforced by punishment – can be understood as products of genetic evolution operating among groups, favoring those that exhibited the greatest teamwork. Teamwork in our ancestors included physical activities such as childcare, hunting and gathering, and offense and defense against other groups. Human teamwork also acquired a mental dimension including an ability to transmit learned information across generations that surpasses any other species. This enabled our ancestors to adapt to their environments much more quickly than by the slow process of genetic evolution. They spread over the globe, occupying all climatic zones and hundreds of ecological niches. The diversity of human cultures is the cultural equivalent of the major genetic adaptive radiations in dinosaurs, birds, and mammals. The invention of agriculture initiated a positive feedback process between population size and the ability to produce food leading to the mega-societies of today. Cultural evolution differs from genetic evolution in important respects but not in the problem that lurks at every rung of the social ladder. Just like genetic traits, cultural traits can spread by benefitting lower-level units at the expense of the higher-level good – or by contributing to the higher-level good. There can be cultural cancers, no less so than genetic cancers. And for teamwork to exist at any given rung of the social ladder, there must be mechanisms that hold the wolves of selfishness at bay. A nation or the global village is no different in this respect than a human village, a hunter-gatherer group, an ant colony, a multi-cellular organism, or a nucleated cell. Modern nations differ greatly in how well they function at the national scale. Some manage their affairs efficiently for the benefit of all their citizens. They qualify at least as crude superorganisms. Other nations are as dysfunctional as a cancer-ridden patient or an ecosystem ravaged by a single species. Whatever teamwork exists is at a smaller scale, such as a group of elites exploiting the nation for its own benefit. The nations that work have safeguards that prevent exploitation from within, like scaled-up villages. The nations that don’t work will probably never work unless similar safeguards are implemented. Accomplishing teamwork at the level of a nation is hard enough, but it isn’t good enough because there is one more rung in the social ladder. Although many nations have a long way to go before they serve their own citizens well, a nation can be as good as gold to its own citizens and still be a selfish member of the global village. In fact, there are many examples in the international arena, where nations protect their own perceived interests at expense of the common global future. We will address some of these issues for Norway, which serves its own citizens well by most metrics and also has ambitions to serve the global village well, but still sometimes succumbs to selfishness at the highest rung of the social ladder. Norway functions exceptionally well as a nation. Although it is small in comparison with the largest nations, it is still many orders of magnitude larger than the village-sized groups of our ancestral past. Seen through the lens of evolutionary theory, the dividing line between function and dysfunction has been notched upward so that the whole nation functions like a single organism. This is an exaggeration, of course. Self-serving activities that are bad for the group can be found in Norway, but they are modest in comparison with the more dysfunctional nations of the world. Norway’s success as a nation is already well known without requiring an evolutionary lens. Along with other Nordic countries, it scores high on any list of economic and life quality indicators. The success of the so-called “Nordic Model” is commonly attributed to factors such as income equality, a high level of trust, high willingness to pay tax, which is tightly coupled to strong social security (health, education), a blend of governmental regulations and capitalism, and cultural homogeneity. These and other factors are important, but we think that viewing them through an evolutionary lens is likely to shed light on why they are important. Our hypothesis is that Norway functions well as a nation because it has successfully managed to scale up the social control mechanisms that operate spontaneously in village-sized groups. Income equality, trust, and the other factors attributed to Norway’s success emanate from the social control mechanisms. Our evolutionary lens also sheds light on Norway’s behavior as a member of the global village. Not without reason, Norway prides itself as a “nation of goodness.” Norwegian foreign policy no doubt plays a positive role in world affairs, also aiming for a “civilized capitalism,” and Norway is the country that has pressed the UN to accept guidelines that make not only states, but also multinational companies, liable for violation of human rights. Also, Norway is currently the world’s most active advocate of corporate social responsibility on all international arenas. Hence, in this context, Norway has done a great deal to behave as a solid citizen of the global village. On the other hand, for all its success and wisdom, the management of the state pension fund illustrates that even Norway is sometimes guilty of selfishly feathering its own nest at the expense of other nations, the planet, and, therefore, ultimately its own welfare over the long term. The Norwegian Government Pension Fund Global is by far the world’s largest sovereign wealth fund, currently exceeding 800 billion USD, and rapidly growing. The fund is owned by the state on explicit behalf of current and future generations. 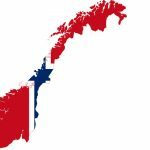 It is administrated by the Ministry of Finance, which gives guidelines to the investment branch of the Norwegian State Bank (Norwegian Bank Investment Management, NBIM). A separate Council of Ethics (appointed by the government) serves the role of advising the Ministry on which companies to divest from due to serious ethical misconduct (details in the structure and mandates can be found here). The fund has two major ethical concerns: It should provide good returns to future generations, and it should not contribute to severe unethical acts. The major emphasis has been on the first goal. A core management issue is the rule of maximum spending (handlingsregelen), i.e., that no more than 4% of the annual income can enter the annual state budget for public spending. This ensures that the fund will be used for the long-term welfare of Norway, not just short-term welfare. This is admirable management of common goods and can serve as an example of how natural resources can be managed for the benefit of an entire nation. At the opposite extreme, consider Equatorial Guinea, which allocates almost the entire income from its oil to the benefit of a single family (the president and his close relatives). For the rest of the population, the life expectancy is 51 years, and 77% have an income of less than 2 US dollars per day. Most other oil-producing nations direct at least some of their revenues to collective goods, but much of it is diverted to political and corporate elites and/or short-term spending. In this context, the Norwegian Pension Fund is quite unique with is long term investments. However, if we go further and ask whether the investments are to the benefit of the long-term welfare of the global village, the answer is very close to a “No.” The main goal of the fund is maximum return, and although Norway has set up to 3 billion NOK aside for preservation of rainforests, it has also (at least up to now) invested heavily in logging companies replacing rainforest with palm oil. There are also heavy investments in mining industries, coal and oil companies, and other activities that do not contribute to a sustainable future. There is no overall “green,” sustainable, or ethical profile for evaluating investments. There is only an Ethical Council that advises the Ministry of Finance, which decides (often after considerable delay) whether or not the bank (NBIM) should divest in certain companies that perform major, unethical practices. Such divestments are made public, so at least they are open to the gaze of Norwegians and the rest of the world – no doubt increasing their impact. The problem is, however, that the investments per se are guided almost solely by the principle of maximum returns, not by principles of long term, sustainable (environmental as well as morally) investments that would benefit the global village – as well as Norway. So, if even Norway fails to recognize the long-term benefits of a strategy beyond narrow national self-interest, what kind of mechanisms can be invoked to the benefit of the global village? Norway’s double standard at the highest rung of the social ladder is typical of most nations. Around the world, politicians talk unashamedly about pursuing the national interest as if it is their highest moral obligation. Double standards easily trigger a feeling of moral indignation. How could persons or nations be so hypocritical? But wagging fingers at nations is not going to solve the problem. A smarter approach is to understand why moral indignation works at the scale of a village, why it doesn’t work at the scale of the global village, and how it can be made to work with the implementation of the appropriate social controls. Imagine living in a village and meeting someone who talks unabashedly about her own interests as if no one else matters. As far as she is concerned, the other villagers are merely tools for accomplishing her own ends. How would you react to such a person? Speaking for ourselves, we would be shocked to the point of questioning her sanity. We might entertain similar thoughts, but we wouldn’t be so open about it. Moreover, our selfish impulses are tempered by a genuine concern for others. Empathy, sympathy, solidarity, and love are as much a part of the human repertoire as greed. We would probably experience the same feeling of moral indignation welling up in us that we feel toward Norway’s questionable behavior. Even if we remained dispassionate, we would avoid her, warn others, and feel moved to punish her for her antisocial ways. As would most of the other villagers, so despite her intentions, she would probably not fare very well. Moral indignation works at the scale of villages because it is backed up by an arsenal of social control mechanisms so spontaneous that we hardly know it is there. The most strongly regulated groups in the world are small groups, thanks to countless generations of genetic and cultural evolution that make us the trusting and cooperative species that we are. The idea that trust requires social control is paradoxical because social control is not trusting. Nevertheless, social control creates an environment in which trust can flourish. When we know that others cannot harm us, thanks to a strong system of social controls, then we can express our positive emotions and actions toward others to their full extent: helping because we want to, not because we are forced to. When we feel threatened by those around us, due to a lack of social control, we withhold our positive emotions and actions like a snail withdrawing into its shell. This is why people refrain from unethical acts – to the extent that they do – in village-sized groups and why cooperation is accompanied by positive emotions such as solidarity, empathy, and trust. The reason that nations and other large social entities such as corporations openly engage in unethical acts is because social controls are weaker and are not sufficient to hold the wolves of selfishness at bay. This is why politicians can talk openly about national self-interest as if nothing else matters – even though a villager who talked in a comparable fashion would be regarded as insane. Understanding the nature of the problem enables us to sympathize with the plight of Norway when it chooses how to invest in the global market. Like a snail, it might want to emerge from its shell and support the most ethical enterprises. But to do so might be too costly in a market environment that rewards naked selfishness. Norway might be required to shrink into its shell and make selfish investments to survive. After all, snails have shells for a reason. A third option is available to Norway and all other nations, which is to create the same kinds of social controls at a large scale that curtail selfishness in smaller groups. This is also costly, like investing in ethical enterprises that don’t yield the highest profits, but it has a more lasting benefit because once a social control infrastructure is in place, it is the ethical enterprises that yield the highest returns. Norway has come a long way to employ this principle in its official foreign policy, but it is clearly lagging behind on the global business scene when it comes to own investments. There is evidence that village-like social controls are starting to form at larger scales without the help of governments. In the United States, a nonprofit organization called B-lab (B stands for benefit) provides a certification service for corporations. Those that apply for certification receive a score on the basis of a detailed examination. If the score exceeds a certain value, then the company is permitted to advertise itself as a B-Corporation. Xiujian Chen and Thomas F. Kelly at Binghamton University’s School of Management recently analyzed a sample of 130 B-corporations and compared them to a number of matched samples of other corporations. The samples were matched with respect to geographical location, business sector, corporation size, and other variables. In all cases, the B-corporations were either as profitable or more profitable (on average) than the corporations in the matched samples. Engaging in ethical practices did not hurt, and might even have helped, their bottom lines. More analysis will be required to pinpoint why B-corporations do well by doing good. One possibility is that they have become like villages in their internal organization so there is less selfishness from within. Another possibility, which is not mutually exclusive, is that consumers are increasingly adopting a norm that causes them to prefer to do business with ethical companies and to shun unethical companies, exactly as they would prefer and avoid people in a village setting. Certification as a B-Corporation makes it easier for consumers to evaluate a company’s ethical reputation. Knowing someone’s reputation comes naturally in a village setting, but work is required to provide the same information at a larger scale. Adherence to other codes performs a similar function, such as the UK Stewardship Code (FRC 2012), the International Corporate Governance Network´s Code (ICGN) or the Singapore Code of Corporate Governance Statement on the Role of Shareholders (SCGC) to mention a few. There are even indications that the corporate world is becoming more village-like without requiring formal certifications. As an example, Apple chief executive Tim Cook was recently criticized by the National Center for Public Policy Research (NCPPR) for failing to maximize profit for its shareholders by investing for the benefit of the climate and the environment. Cook became strikingly upset and advised those with such narrow self-centered goals to sell their stocks. He was behaving precisely as a good villager would behave – and if his reaction became the norm among large corporate entities, the global village would become more like a real village without the need for formal certifications. It might seem too good to be true that consumers and the corporate world are spontaneously starting to hold the wolves of selfishness at bay by implementing the same kinds of social control that we take for granted at a village scale. If this did come to pass, then Norway would no longer be faced with difficult choices in how to invest its vast wealth in the global market, because the most ethical companies would also be the most profitable. But if this is happening at all, it is still in its initial stages. At present, it is still the case that some of the most profitable investments are of the cancerous variety. Therefore, Norway is faced with a difficult moral choice similar to that of most investors. It can remain in its shell and make the most profitable investments to maximize short-term returns for its shareholders (in this case, the Norwegian population) without regard to worldwide ethical concerns, or it can emerge from its shell, live up to its ideal standards in domestic as well as foreign policy, and join with other right-minded individuals, corporations, and nations to help create the social control system that can make ethical practices most profitable. The crucial point is that this is a win-win situation in the long term because, ultimately, we are all in the same boat, and what is good for the world, in a long-term sustainability perspective, will also be good for Norwegians. In this essay, we have sketched a surprisingly simple solution to the apparent conflict between self-interest and mutual benefits at all hierarchical levels. We are suggesting that the social dynamics that take place naturally and spontaneously in villages can be scaled up to prevent the ethical transgressions that routinely take place at a large scale. Why is such a simple solution not more widely known and discussed? Although we immediately realize this solution when it comes to cell-organism relationships or individuals within villages, we do not realize that the same principles also hold for companies or nations. One reason is because of an alternative narrative that pretends that the only social responsibility of a company is to maximize its bottom line. Free markets will ensure that society benefits as a result. This narrative makes it seem reasonable to eliminate social controls – precisely the opposite of what needs to be done. Governments have been under the spell of this narrative for nearly 50 years despite a flimsy scientific foundation and ample evidence for its harmful effects. We can break the spell of the old narrative by noting something that will appear utterly obvious in retrospect: The unregulated pursuit of self-interest is cancerous at all scales. To create a global village, we must look to real villages. Originally titled Blueprint for a Global Village. This entry was posted in Economics and tagged Norway. Bookmark the permalink.